663,000,000 people in this world don’t have access to a safe source of clean drinking water. 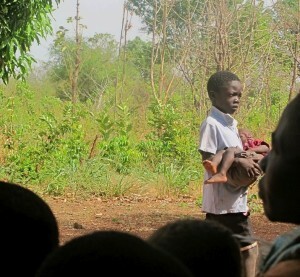 As a result, diarrhea kills 2,195 children each day—more than AIDS and Malaria combined. In addition, according the Neverthirst, women spend 40 billion hours per year collecting water. I have experienced firsthand the devastation caused by impure water consumption, and the difficult recovery, even for otherwise healthy adults. Children have much less chance of survival. We sweat in order to reduce our body temperature. If we become dehydrated because of intractable diarrhea, we stop sweating. Children have very little reserves, and when they stop sweating, their body temperatures climb. When the outside temperature is 115º and there is no such thing as air conditioning or electricity, they’ll more than likely die within hours. They will die within hours. In The Ghost of Africa, the dependency of villagers on clean drinking water is essential to an evil tyrant’s plan to destroy his own people for personal gain. In the region of Sudan where our story begins, Dr. Paul Branson has assisted in establishing and maintaining clean water supplies by drilling wells in the region. Neverthirst has done just that for a people in real need. Without that water, the people die. The “what if” scenario presented in The Ghost of Africa is not far from the devastation that has been occurring over the past several months. Men continue to be the worst enemy of the people of South Sudan regardless of the natural predators, illnesses, lack of food or medical care. In the midst of the horrors and pestilence, a story rises to the surface of the people’s plight in a part of the world where they believe they have been forgotten. But they haven’t been–not by us, not by Dr. Paul Branson. For a thriller, adventure, suspense novel, please click on the photo to the right. Visit Neverthirst to see what you can do to help. 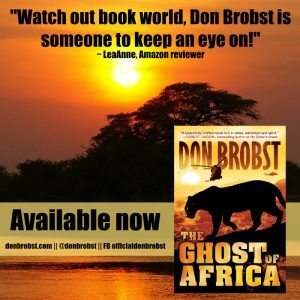 Go to Amazon for a copy of The Ghost of Africa, and then leave me a review. I would appreciate it very much. You can’t imagine how much that helps.